The Women's Siren Sport GTX Shoe is an athletic shoe from Merrell that will stretch your limits on real ground under open skies. 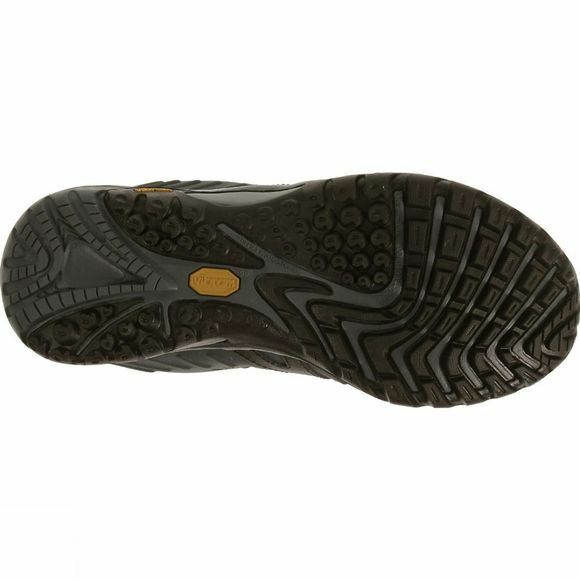 The Gore-Tex lining makes this shoe completely waterproof while still being highly breathable. 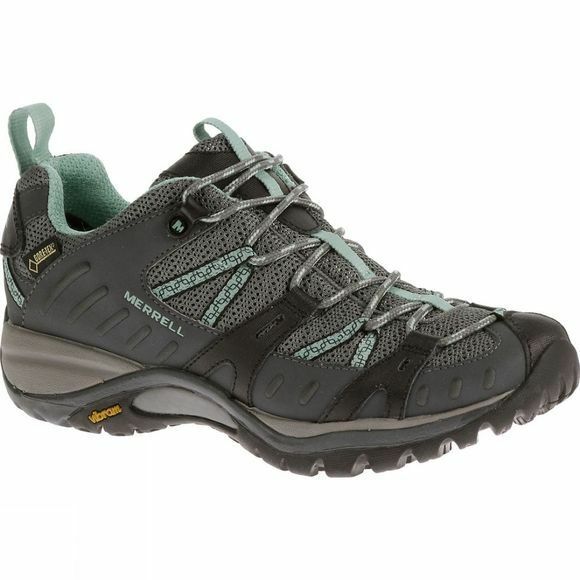 It is ideal for off-road running, speed hiking or trail biking and will fit into a casual sports outfit well. It is extremely lightweight and cut low around the ankle for excellent freedom of movement and the Vibram outsole is durable and grippy on a huge range of surfaces. The Siren Sport range has been designed specifically for the anatomy of the female foot - the heel is centred for advanced stability and the Q Form dual density midsole has been optmised for the specific needs of womens feet, to enhance stability and alignment, and prevent discomfort and injuries. Furthermore, the arch on a female foot is generally shorter, higher and more flexible arch, which Merrell have taken into account while building the Siren Sport range, to ensure that there are 3 points of contact at all time. The M Select Grip sole ensures excellent traction on a variety of surfaces to give you security with each step.